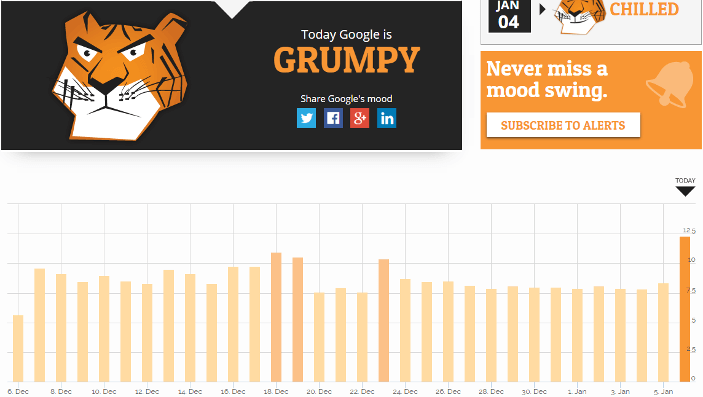 AccuRanker's ‘Grump’ Rating highlights unrest in Google's algorithm. The grumpier the mood, the bigger the fluctuations in rankings. AccuRanker’s Google Grump rating is based on a unique algorithm, built to calculate the average number of rank changes, across the top 100 results per keyword. Split 50/50 between mobile and desktop. AccuRanker loop all 100 rankings and compare them to the previous day. 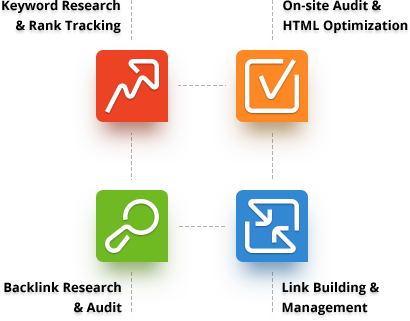 If the URL has dipped or fluctuated, it is subtracted from its position the day before. The final index number for a given keyword is calculated by finding the sum of all the differences, and dividing this by the number of results (normally 100). Then, each keyword index is compared and averaged to give you our Google Grump Rating.